"The doctor is always caring and takes his time to answer questions and concerns." "Dr. Fatakhov is attentive, thorough, knowledgable, and compassionate." "Friendly staff and environment. Dr. Fatakhov is caring and great at addressing needs." "He and his staff have provided me with great care - with my best interests in mind." "I would recommend Dr. Fatakgov to anyone that is looking." "Dr. Fatakhov is such a warm, caring doctor who cares about his patient's well being." "I would definitely recommend to anyone looking for a new primary care physician." Dr. Eduard Fatakhov provides medical and natural care for a broad range of conditions at The Center for Internal and Integrative Medicine. Patients in Alpharetta, Georgia, can depend on Dr. Fatakhov to provide exceptional care. As a board-certified physician, he has gained expertise in both internal and integrative medicine, along with nutrition and the prevention of health problems. He also has extensive knowledge of weight loss and women’s health, including bioidentical hormone replacement. Dr. Fatakhov helps patients discover and address the underlying causes of their health problems so they can achieve optimal health. Each patient receives an individualized treatment plan that emphasizes disease prevention in addition to relieving symptoms. He earned his Bachelor of Science in Nutrition from Life University, then graduated at the head of his class from the American University of Antigua School of Medicine. He also earned his MBA, which includes a concentration in health management, from Davenport University. After graduating, Dr. Fatakhov gained more experience during an Internal Medicine residency at Georgia Regents University Medical College of Georgia, located in Augusta. His credentials include membership in the American College of Physicians and the Outstanding Resident in Volunteerism and Advocacy for the State of Georgia award. He also shares his internal and integrative medical knowledge and expertise with others as an assistant professor of Clinical Medicine at the Medical College of Georgia at Augusta State University. Dr. Fatakhov co-authored “The Doctors’ Clinic-30 Program” and contributed to “Internal Medicine -- The Survival Guide to Residency.” He’s a certified personal trainer, wellness expert, and nutritionist who spends his free time with family and friends. He also enjoys staying physically active, traveling, reading, and volunteering at The Healing Hands Clinic, located in Calhoun, Georgia. Our practice is Multilingual! We speak English and Russian. Eat Like Toddlers, Not Sumo Wrestlers! 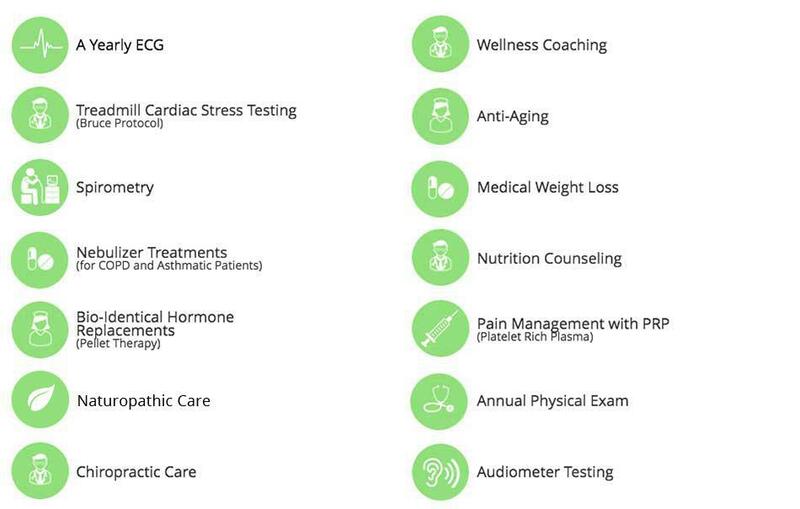 The Center for Internal and Integrative Medicine accepts most major private insurance plans. Below is a short-list of just a few of the plans that Dr. Fatakhov accepts. Please contact our office if you do not see your insurance provider listed. "Both the doctor and nurses are professional and knowledgeable. I wouldn't go back to anyone else!" "A very good doctor with a great personality - and one who actually listens. Dr. Fatakhov is up-to-speed on diet and nutrition advice/counsel unlike many other doctors." "Excellent bedside manner, a willingness to take the time to explain things to you, and most of all, is VERY competent." "I came in to see him as a new patient and was truly impressed. I was referred to him and will continue my care with him."